Computer too slow? Let's speed things up. Spyware, Malware, Viruses? We clean house. Need computer advice? We do affordable. Custom programming? Yes. We do that too. 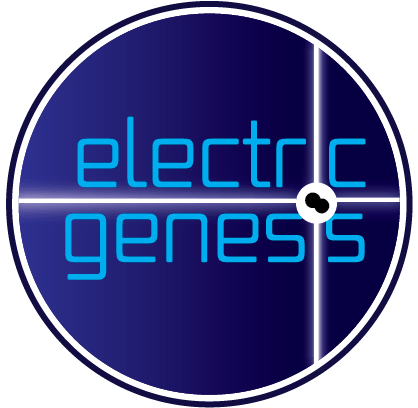 Electric Genesis currently serves customers with personal care in Toronto Ontario Canada and remotely worldwide. Providing expert advice in computer repair and customization. Please give us a call to find out more about what we can do for you. Whether you’re a senior that wants to keep up with the grandchildren or if you have aspirations of becoming a professional programmer, we can help you achieve your goals. FREE for up to 15 minutes a month of telephone access or one e-mail a month. 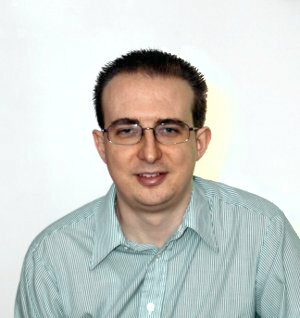 Derek’s love of computer programming dates back to his experiences with his first computer, a Commodore-64. Ugly, primitive and difficult to use, he found the machine to be awkward and intimidating. Nevertheless, a desire to appreciate and understand this tool inspired him to learn to program in Beginner’s All-purpose Symbolic Instruction Code, or the BASIC programming language . Soon Derek learned that the very things that made computers unfriendly were also the things that gave them great beauty. They always followed predefined rules. Unlike people, computers always do the correct thing regardless of what the user expects. It was the job of the programmer to translate the expectations of the user into code that the machine could execute. This process began to tune and condition his mind to follow and fully understand the logical implications of rules such as those that govern nature and other systems. He accredits this conditioning to many of his views on things as diverse as physics and politics. Click to view my Resume, or visit my LinkedIn Page. While at Ryerson University, Derek spent several years working on research projects involving various aspects of advanced television. It was this that precipitated his interest in technologies such as closed captioning, which can greatly enhance the entertainment value of the medium, particularly for the hearing impaired. This lead him to the Centre of Learning Technology. Also involved in student government he was once Vice President Academic of the Computer Science Course Union. Totally dissatisfied with television content, he does not own a television set. Derek spends his time watching DVDs on his computer, reading books, and creating interactive fiction. Since he has graduated, he has invested time in personal and spiritual growth and intends to continue. A space buff, he is a keen supporter of Canada’s manned space program. He is always fascinated by the latest discoveries made by unmanned probes in this solar system, as well as astronomy, astrophysics and cosmology. He also plans to soon publish a paper on cosmology that proposes a new theory that explains the known universe’s imbalance of matter and anti-matter, dark matter and other mysteries.